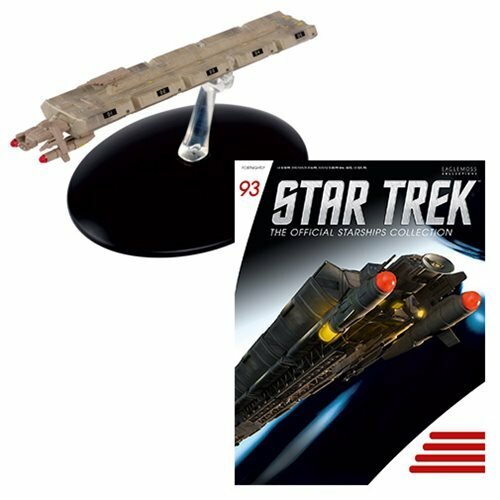 This Star Trek Starships ECS Horizon Vehicle with Magazine #93 is part of the incredible collectible collection of Star Trek models that includes all the most significant ships from the five Star Trek television series. It showcases the human J-class cargo ship from Star Trek: Enterprise and comes with a display stand. Every ship is painstakingly recreated in die-cast metal and high-quality ABS materials, and then hand painted with an amazing level of detail.